Entrepreneurial consultant with a passion for growth and digital. Brings Lean Startup to the boardroom. Energized by complexity and growth opportunities. Combines conceptual thinking, enthusiasm, innovative ideas and humor. Always bets on real impact: commercial results. Familiar with being the link between the boardroom and the business. Makes connections that move corporates & startups forward. Previously with Hay Group responsible for translating strategy into organizational-, process- and job design. Engaged within the Dutch startup community. 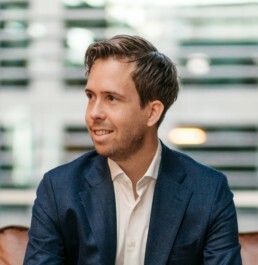 Co-founder of Rockstart Accelerator and co-organizer of Startup Weekend, the largest startup event in Amsterdam.